What Does Your Wedding Venue REALLY Need? While many couples would be happy having their wedding ceremony outside with little decorations or fanfare, others are apt to go all out. While there is a broad spectrum in relation to what you want your wedding venue to have, what does your wedding venue REALLY need to ensure you are ready for your ceremony or wedding reception? 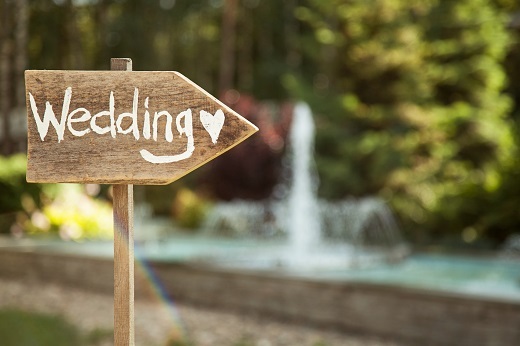 Let’s take a look at the necessities your chosen wedding venue should have ready to go. Depending on the size of your wedding, the amount of space required to comfortably have your ceremony will vary. For an outdoor wedding, this likely would not be a problem, however, indoor venues will typically have a “capacity” number that cannot be exceeded without the fire marshal shutting the event down. Ensure the venue you choose can safely hold the number of guests you have invited to avoid any potential issues. The cost of your chosen wedding venue will likely be one of the biggest deciding factors if you have constructed a budget. Ensure the venue doesn’t have any hidden costs before signing a contract so you don’t have any unexpected costs when the wedding is over. It is also a good idea to determine when all fees and associated costs are due, whether before the ceremony or after. Weddings are typically booked months in advance, making the possibility of needing to change the date a problem. Ask your potential venue what their cancellation policy is and if there is a penalty for canceling far enough in advance. However, in most cases, venues will not offer a full refund after a certain date has passed.